The difference between social media marketing and the traditional form of marketing is very slim. The biggest difference though is that you are able to reach large numbers of people without spending a fortune in the process. However, just like with traditional marketing methods, you will need to have a goal. Soccer players cannot play if the goal is not existent or it keeps shifting from one place to another. In the same way, you will not be able to achieve much if your social media marketing plan does not have a goal or you keep changing the goals along the way. If your goal meets all these criteria then you will have a really easy time tracking, measuring, analyzing and making changes to your strategy. Making changes to the strategy does not mean the same thing as making changes to the goals. You will have to tweak a few things here and there along the way in order to achieve your goal. This literally refers to the number of people that have been impressed by your content on social media. An impression is basically referring to the fact that a person has seen your content and they have acted upon it. For instance, impressions on Facebook could be likes, shares and comments while on Twitter they could be likes, retweets and the comments as well. How many people are engaging with you on the various social media platforms that you have a presence on? This is an important measure as it shows the popularity of your business based on a variety of factors. There is something that you want people to do on your social media. Perhaps you want them to visit your website or click on your product or like it. These are conversions. Measuring the conversions is an important activity as it shows the success of your business. It is one thing to have millions of followers but another totally different thing to have followers who actually act on your content. When people visit your website or your business’ page on social media, how much time do they spend there? The time that is spent on a page is a vital measure, not only in social media marketing but also in search engine optimization (SEO). There are bounce-offs. These are the people who do not spend more than two seconds on your page. A large number of bounce-offs could indicate that there is problem with a page. There are those pages that people will be spending the most amount of time on. When you are developing your social media marketing campaign, you should come up with the metrics that are most important to you. Find out the measures that are vital to you long before you start out. What is the most impressive content (the content that frequently draws a lot of impressions)? What content is not capturing the attention of your audience as much? What needs to be improved and what should you get rid of completely? These are some of the questions that you will be able to answer using the data that will be generated by the above metrics. They help in the development of a streamlined social media marketing project. They are like the compass that you will use in the vast ocean that is social media. Managing a business’ social media accounts can be quite problematic. For proper social media marketing, you need to have a goal and a compass to help you achieve the goal. 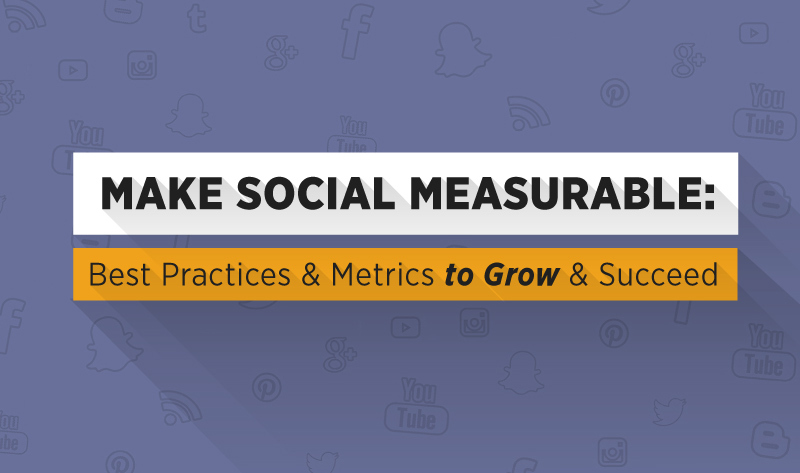 The social metrics are the compass that you will use while you are on this journey. Sujain Thomas is a data IT professional who works closely with DBA experts to provide her clients with fantastic services to their data problems. If you need data IT solutions, she is the person for the job.